Next week, we’ll begin accepting entries for what might be the most popular round of our Ah-Helmet Moment Contest. 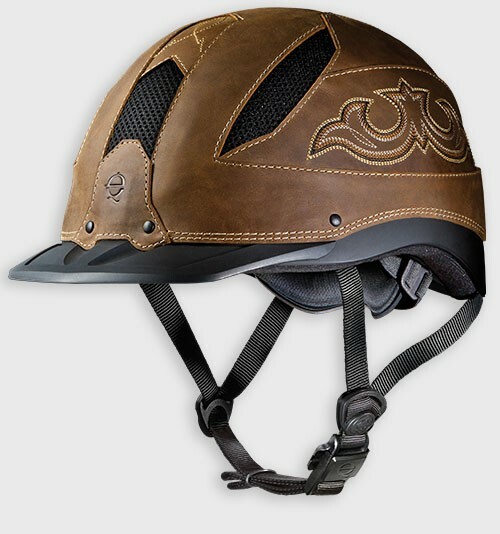 We’ll be giving away the stylish, new Cheyenne helmet. It features a low profile and hand-made, leather fitting. Win one before it’s even available in stores! Check it out here. We’ll start accepting entries next week. Stay tuned. 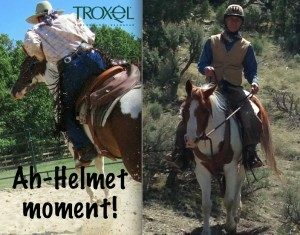 The contest was spurred by the popular response to Dr. Steve Peters’ article on why he’s swapping his cowboy hat for a helmet. Read it here. For the fourth round, we’ll accept entries September 23-30. Enter by contacting us with a description of your ah-helmet moment, OR send us a message on our Facebook page. The entries will be posted on NickerNews blog by October 1. A week’s voting via blog comments will run through midnight October 8. 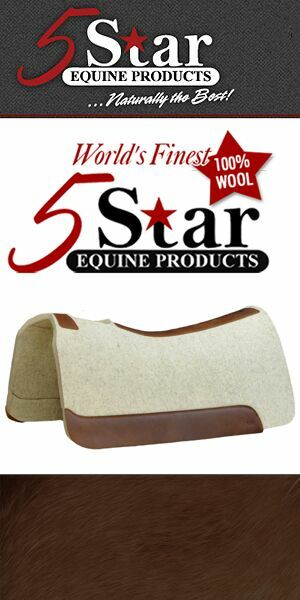 The entrant with the most comments will receive a Troxel Cheyenne helmet! I would were it and show it off…. Thanks, Elena! What’s your hometown? Our show horse is almost three years old. My daughter wears a helmet while practicing at home. But will not wear a helmet while in the western show ring, only during her English classes does she wear a helmet. Fallon Taylor has made great progress exposing people to helmets in the speed events. But it is very hard to get a cowgirl in cowgirl clothes in a western class wear a helmet. We need a cowgirl to stand up and wear a helmet, your helmet looks so western, I feel that my daughter would be proud to wear it. My funds are limited, Social Security only goes so far, I had to retire when I found out I had kidney cancer needing surgery. We do everything on a shoestring budget, so I would love to win this helmet for my daughter. Thanks, Eadith. What’s your hometown? I really like this helmet and I always ride with a helmet. I’ve always loved horses and never thought I would have one. My husband had been around horses when he was growing up. Two years ago our dream came true and we built a barn, started looking for horses and I got my horse at 60 years old. I will be 62 in November and I am so in love with our boys – Charmer and Charlie – Charlie is my horse. Both are QH Geldings. Charmer is 16 HH and Charlie is 14.3 HH. Thanks, Barbara! What’s your hometown? I have not had a Ah Helmet Moment until I read Eadith Smith’s comment. Because of her financial issues, I would love to WIN this Helmet and give it to her daughter to wear when riding western. As I was a western pleasure competitor years ago, I would like to “Pay It Forward” to this family. Thanks, Zoie! What’s your hometown? I signed up to take part in a “Saddle Up for St. Jude” ride near my barn. At that time, I had an Appaloosa gelding named Killian’s Irish Red. He was, something of a character, so I went into the ride knowing he could very well decide he’d had enough, and turn into a raging nitwit. He surprised me, though, and after a short Come-to-Jesus session at the ride’s onset, he settled right in and was just a stellar ride. A horse in a pasture, fenced with high-tension wire, tore from his barn and right at our group as we rode. He slammed on the brakes a good two inches from the fence, and the fence let loose a good “twang!” I thought for sure that Killian would freak. Instead, he looked at the raging horse in the pasture like, “What’s YOUR problem, dolt?” Three horses refused to go around a landscaping rock the size of a VW Bug; he walked right up to it and commenced licking it like a Tootsie Pop. So, I began to let my guard down, and by the end of the ride, I was feeling pretty happy. Instead of continuing to the driveway where the ride would end, three of us cut through the grass toward where a heaven of cold water and Amish BBQ chicken was waiting for us. Killian shot three feet to his right, which kicked my right leg up in the air and over his back. For one Wile E. Coyote moment, I hung there, suspended, with my legs pointing skyward, my hands still nicely on the reins in front of me, and Killian’s cinch breezing by my left ear. Positioned just so, doing my best impression of a reverse pike, my shoulders hit the ground first. My rear end impacted second, and I took a time-warped moment to congratulate myself on not hitting my he- *crack* Nevermind. I still hit my head. In the end, I came away from the experience with two cracked shoulder blades, an injury which still makes my chiropractor shake his head. I took my helmet home, and in the light of my bedroom, saw a number of small cracks spider-webbing around the interior of the helmet. That moment, my Ah-Helmet moment, coalesced into a cold ball of certainty in my gut: I would never ride without a helmet again. No way, no how. I hadn’t even thought I’d hit my head that hard – my shoulders had (painfully) borne the brunt of my fall. However, the cracks in that helmet could have easily been cracks in my skull.